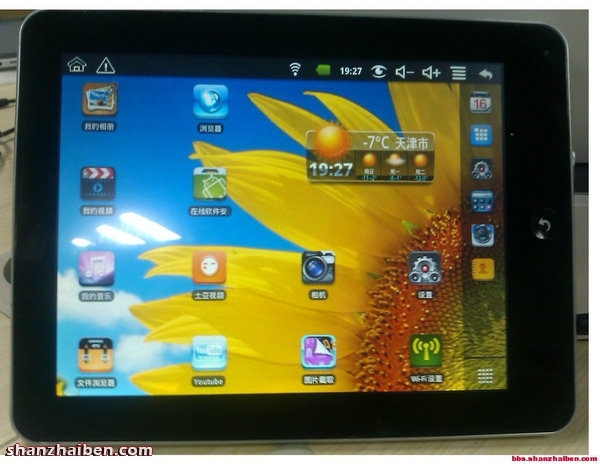 Discussion in 'Android Tablet News' started by xaueious, Jan 13, 2011. VIA targeting the low-end market by launching the WM8650 while most other major competing Android integrated circuit firms have been focusing on current generation Cortex A-series (A5, A8, A9) processors. Now we are finally seeing the first batches based on the WM8650, with expected price per unit to rival the WM8505 at around 550RMB (~$85USD) per unit. It is realistic that these units can arrive on international shores for less than $100USD per unit. VIA's dominance in the low-end market can be attributed to its turn-key platform philosophy. The new VIA WM8650 follows this philsophy, and has multiple improvements over the atrocious WM8505. It is rumored to ship at 800 MHz with a single ARM11 core, and has support for up to 720p video as well as Android 2.2. This actually makes it a decent solution for running Android somewhat respectably. However, power consumption improvements may not be that optimistic. As VIA has been responsive to GPL compliance in the past for the WM8505, we may see good user development on this platform, especially with the up-to-date 2.6.32.9 Linux kernel it ships with, and the low price of the units. Overall, VIA WM8650 products look to be very solid competitors in what is still a very active market. This also spells trouble for Rockchip and Telechips, the main competitors for VIA in the low-end Android tablet market. The history of VIA has been very progressive on Chip design and fabrication. This new design is a recognition there was more horsepower needed and flexibility than its first generational 8500 series. The 8600 series is comparable to going from a pentium to a pentium 3 in capability. It is not an I7 continuing the PC processor analogy. But this processor line is designed for low power, high capability. This will be a welcome update and make the existing 850x chips look ancient incomparison.